County Plumbing & Central Heating is an independent service and maintenance company, working mainly in the central London area and its surrounding areas. Estimates can be carried out and a planned schedule of works can be arranged. An office is at hand during the week to solve any problems. We have Gas Safe registered gas installers, that can perform gas inspections on many types of gas powered appliances. 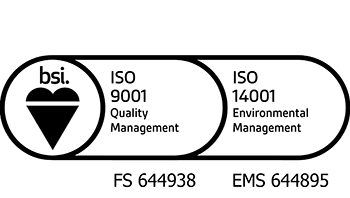 County Plumbing successfully obtained ISO 9001 Quality Management with the BSI in August 2016 and ISO 14001 Environmental Management in July 2017. This shows our organisational commitment to quality and the environment including our continued improvement to the services that we offer. You can authenticate our certificate online by clicking here. At County Plumbing we are Gas Safe registered and it is a legal requirement for anyone carrying out gas work to be registered with Gas Safe Register. The Chartered Institue of Plumbing and Heating Engineering (CIPHE) is a professional body for the plumbing and heating industry in the UK. County Plumbing has been a registered member for over 30 years, so you can be sure that our engineers are qualified and experienced to carry out all types of domestic plumbing and heating work safely and to an excellent standard. Safe Contractor is a scheme run by the Government for assessing companies and individuals and whether they meet specific standards of health and safety. At County Plumbing we are Safe Contractor approved recognising our very high standards of health and safety practise. CHAS is a organisation that accesses companies and individuals to whether they meet specific Health and Safety standards. At County Plumbing we are CHAS approved recognising our very high standards of health and safety.